Boil water, add noodles, drain, and eat – does it get easier than that? First consumed in China 4,000 years ago, noodles have become a staple of cultures all around the world in an array of sizes and shapes, from waves, helices, tubes, strings, and shells, to any other shapes your heart may desire. Celebrate National Noodle Month this March and enjoy this ageless delight. A team of archaeologists reported finding an earthenware bowl that contained a 4,000-year-old noodle in China. Instant noodles are invented by Momofuku Ando, and first marketed in Japan. The earliest written record of noodles is found in a book dated to the Eastern Han period. 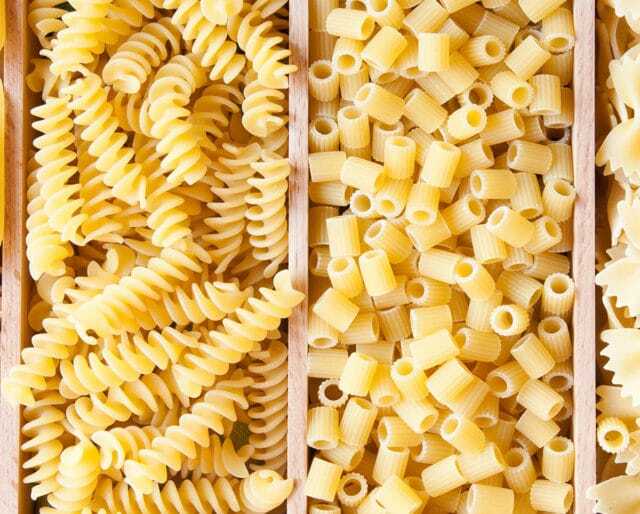 Arabs adapted noodles for long journeys, which is the first written record of dry pasta. With limitless combinations and recipes, noodles offer a plethora of cooking options for you to explore the subtle nuances of your choosing. From the Asian dishes of China, Japan, or Malaysia, to the dishes of Europe and North America, the possibilities are endless. Noodles can be found in virtually any dish, including appetizers, salads, soups, entrees, and even desserts. Celebrate noodles by inviting friends and family to put their own “flavor” in a personal dish, and see how many exciting and clever dishes are created. Noodles offer the perfect opportunity to give back to those who may not be as lucky as we are. Due to their reasonable sales price, noodles provide a chance to give a tasty and filling meal to those in need without having to break the bank. Boiled water and a strainer are all that are required to make noodles. Whether you are a Certified Master Chef at a 5-star restaurant, or a lowly college student just rolling out of bed, anyone can create a noodle dish. Most noodles cook in 8 to 12 minutes. You can eat them right away, add some seasoning, or pour a sauce of your choosing on top, and dig in. With the average Ramen Noodle packet costing only 13 cents, you could eat three square meals a day for an entire year for just $142.65.